We’re happy to announce the imminent release of a new book, TRAVELOGUE. 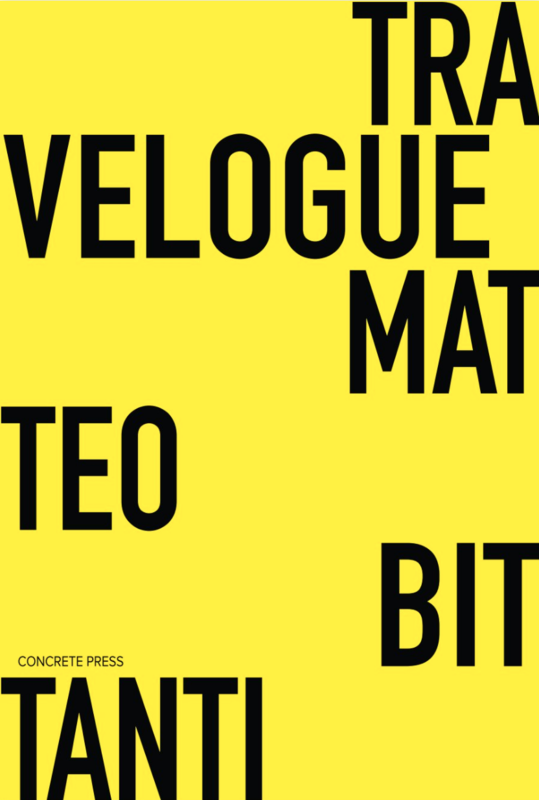 Available in a bilingual edition (English and Italian) and in printed only format, TRAVELOGUE is a meta-catalog about the eponymous art exhibition curated by Matteo Bittanti in Mantua, Italy in 2016. The book features essays, interviews, and artworks about simulated driving. Stay tuned for more information. Siamo felici di annunciare che TRAVELOGUE arriverà presto in formato cartaceo in edizione bilingue (inglese e italiano). Il catalogo ufficiale dell’omonima mostra curata da Matteo Bittanti nel 2016 a Mantova include saggi, interviste e opere d’arte sul concetto di guida simulata. Restate sintonizzati per ulteriori informazioni. The rumors are true: our latest release has been spotted in the wild! We're excited to share with the world our new book, The Mythic Being in Liberty City, the fourth in a series dedicated to COLL.EO's Grand Theft Auto IV interventions. Available in a limited edition of 99 copies, the book features 144 pages of text, illustrations in B&W and color, many of which have not been shared before. It also features a critical essay by critic and curator Dorothy R. Santos. Marco Benoit Carbone writes about Machinima. 32 conversazioni sull'arte del videogioco for film and media magazine Segnocinema. Outcast contributor Andrea Peduzzi interviewed Matteo Bittanti on machinima, video art, and appropriation. You can read the full conversation here (in Italian). We are thrilled to announce the release of MACHINIMA. 32 conversazioni sull'arte del videogioco, a new book featuring interviews with international artists using video games to make art. MACHINIMA. 32 conversazioni sull'arte del videogioco expands, in print form, both the exhibition GAME VIDEO/ART. A SURVEY, curated by Matteo Bittanti and Vincenzo Trione in 2016 at IULM University, in Milan, Italy, and the official catalog, released by Silvana Editoriale in June 2016. The vast majority of the conversations with the artists featured in the show were produced by the students enrolled in the M.A. in Arts, Cultural Heritage and Markets Program at IULM. Topics discussed range from the practice of appropriating games for making art to the artists' approaches to the medium, providing scholars, critics, and artists a set of invaluable resources to better grasp the meaning and practice of machinima. Click here to visit the book's official page.